Ever since Gareth Bale was sold to Real Madrid for a British record fee of eighty five million pounds, sports critics and pundits have said alike that Spurs haven’t been as dangerous since. However, if we look closely at the two seasons after his departure, there isn’t a massive difference in Tottenham’s overall performance. Andres Villas Boas became Spurs manager during the summer before the 2012/2013 season. During this season, it was evident there was a relationship between manager and player – a strong one. AVB stated that Bale asked ‘to help him to enjoy his football more’, this emphasises Bales motivation to become better. The two had clicked, AVB’s tactical philosophy was being applauded like it was at Porto before his dismal period at Chelsea and Bale’s wish had clearly become true. Spurs had a remarkable first season with AVB in charge, results were positive, Bale was the best player in the league by a large margin, and they gained their highest ever points tally to finish a season – seventy two. However, where would Spurs have been if Bale wasn’t in such good form or was injured for a period of time? Throughout the season, Bale contributed goals and assists in a countless amount of games. I’m not saying Spurs would have not won or drawn a game without Bale in the team, but it was shown that he had a significant impact in most games. Therefore, without his goals alone, Spurs would have dropped twenty seven points and finished in eleventh place – this statement alone proves his effective impact. As previously mentioned, Bale was transferred to Real Madrid at the end of the 2012/2013 season. So how were AVB and Tottenham going to replace such an important player from the previous season? Tottenham had bought stupidly, there was no doubt about that. The players who follow are the ones who were brought in with the money received for Bale: Paulinho – sold two seasons later, Nacer Chadli – has had biggest impact of the players brought in, Roberto Soldado – scored seven goals in fifty one games, Erik Lamela – been injured a lot, but has proven he has ability when featured, Etienne Capoue – sold two seasons later, Christian Eriksen – now one of Spurs’ best players, Vlad Chiriches – has been sold after two seasons at the club. As you can see from the above players, really only two have had an impact at Tottenham since they signed at the beginning of the 2013/2014 season. Spurs fans were in limbo of what the 2013/2014 season will produce, some were unsure if they will qualify for Europe as they no longer had Gareth Bale, whereas others identified them to be hunting for the title. However, with a major asset gone from the previous season and seven players who don’t speak fluent English brought in, many outcomes could be spoken of. By mid – December, with Spurs lying in seventh place and having just suffered a 5 – 0 defeat at the hands of a rampant Liverpool, AVB was relieved off his duties. Some can see this as unfair and others can identify it as the correct decision for the majority involved. It was clear that the start of the 2013/2014 season had not started how the Spurs fans and hierarchy wanted it too, causing many doubts and criticism. Who was next to challenge the top four and aim to gain appreciation and achieve success at White Hart Lane once again? The answer is Tim Sherwood. Sherwood was previously technical coordinator within the club and after showing positivity throughout his interim period of management he was presented the opportunity to be given the role full – time. Daniel Levy’s decision to replace a young manager with plenty of potential with a former player with no managerial experience can be seen as clueless by outsiders. However, Sherwood was possibly the best candidate for the position. He changed the philosophy from a high pressure and open style of play to a more disciplined manner with an aggressive will to win. As former manager AVB got the best out of Bale, the same could be said with Sherwood discovering the form we used to see from Emmanuel Adebayor. Sherwood played a similar formation from the previous reign but Adebayor was the main striker. Scoring eleven goals in twenty one games, Adebayor had contributed to Spurs finishing sixth in the league. Although it was one less position compared to the previous season, with such a poor start it was an impressive achievement by a manager who had no previous experience and a side with so many new acquisitions. Tim Sherwood said in an interview after defeating Sunderland 5 – 1 at White Hart Lane that ‘his record here [Tottenham Hotspur] is second to none’ – showing that he may be the man to bring success to White Hart Lane, the area that many have failed to cover. During this season, Spurs’ form does seem to stagnate due to the poor start, but what would have happened if Sherwood was in charge for the full season? In his sixth month period at the helm he achieved a win percentage of 59.1% whereas AVB only achieved 50% during the season. As the 2013/2014 season came to a close, many a Spurs fan was looking forward to the next after the positive second half of the season with Sherwood at the helm. However, Daniel Levy obviously had different views and once again relieved another manager of their duties. This time appointing Southampton manager Mauricio Pochettino – yet again another change and another foreign manager in charge at an English club. 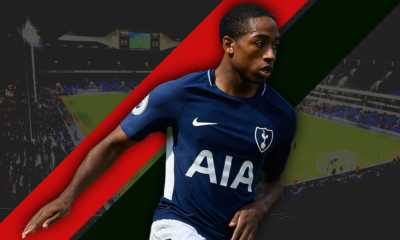 Evident from his previous managerial stint at Southampton, one thing Spurs fans were looking forward to would be the opportunity to witness their best youth players playing in the first team. Although Sherwood presented some with the opportunity the season before, Pochettino’s trust in younger players was sure to continue at Tottenham. Pochettino was similar to AVB and Sherwood in getting the best out of a particular player – this time it was young Harry Kane. Kane was introduced regularly in the 2013/2014 season but not as much as the following. During the 2014/2015 season Kane produced memorable moments at such a young age – one which will always be remembered was his hat trick in the 5 – 3 victory over Chelsea. The last player to have such a successful season at Tottenham was Bale and he was prized away with lucrative offers, whereas the Spurs fans can so far be confident with Kane’ status as so far it looks like he is staying put despite attractions from Manchester United. Pochettino’s league position at the end of the season was also similar to the past two managers in charge, at the top end of the table and in the top five – one over Sherwood and the same as AVB to be precise. 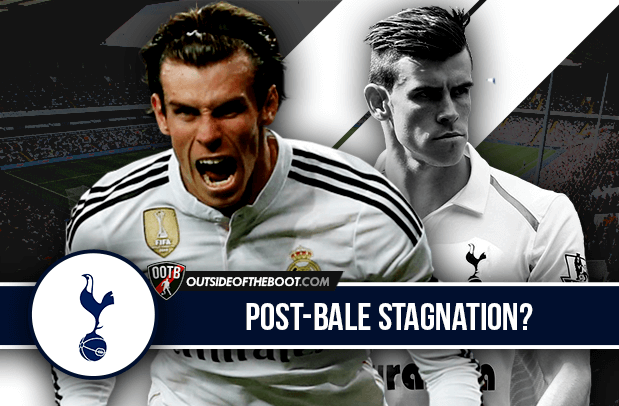 Looking back over the past three seasons, one with Bale at the club and two without, not a lot has changed. Personally, I feel Spurs have done significantly well considering the quality of their team compared to others higher up the league (Chelsea, Manchester City, Arsenal and Manchester United). Despite the disappointing period at the start of the 2013/2014 season, everything else hasn’t been too bad. Their final league standing is impressive considering the changes the club went through as a whole – three different managers, a large number of new signings brought in and the loss of possibly their best ever player in Gareth Bale. Also, they have always had a main player most of the attention is focussed on, whether it is Gareth Bale or Harry Kane – Emmanuel Adebayor won’t stand out for 2013/2014 season with pundits and viewers. There will be many different opinions on Spurs’ performance since the departure of Gareth Bale – this is one of many.